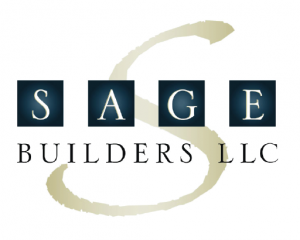 Sage Builders LLC/Eplus Solutions LLC is a multi-award-winning residential design/build/development company specializing in sustainable, innovative solutions for renovations, additions and new construction. Working throughout the greater Boston area, projects range from one-room additions to whole-house renovations and energy efficient custom home construction. We are honored to work with the Boston Planning & Development Agency and the Department of Neighborhood Development to bring energy positive homes to diverse Boston neighborhoods. We are committed to doing our part to make our imprint on the planet a little lighter and the prospect for a more stable climate a little closer within reach. Explore the website to learn more about the homes at 152 – 158 Highland Street, and contact us for additional information about this and other sustainable design and construction opportunities. Placetailor, Inc. is an employee-owned cooperative with a commitment to building sustainable homes within the City of Boston. We believe there’s a certain kind of magic in a place where everything fits just right. Where a well-placed building helps the whole street come to life. When a thoughtful design stands out while still fitting in. The way the sun, the trees, the earth, and the people are all extensions of a building, and are utilized to create custom-fit urban environments. We are pleased to have been selected to partner with Sage Builders LLC/Eplus Solutions LLC on this outstanding project. Craig Foley and RE/MAX Leading Edge believe in transparency, integrity and the highest level of professionalism. These values are threaded in the fabric of the company and are a part of everything Craig does in service to his clients. He is committed to RE/MAX’s pledge to provide an uncompromised ethical experience focused on the goals of buyers and sellers. In addition to his brokerage role, Craig is an educator and founder of Sustainable Real Estate Consulting Services (SRECS). His combination of real estate and energy management skills give him a unique perspective about sustainable energy solutions; he is considered a national expert in the field of high-performance home valuation. Craig was one of five people in the U.S. to receive the EverGreen Award by the National Association of Realtors (NAR) Green REsource Council in 2013.